This article gives you complete information about Battlefield 3 - Latest first person shooter game released in PC, PS 3 and Xbox 360. More details about the ratings of the game, System requirements for the game and game review are quoted in this article. 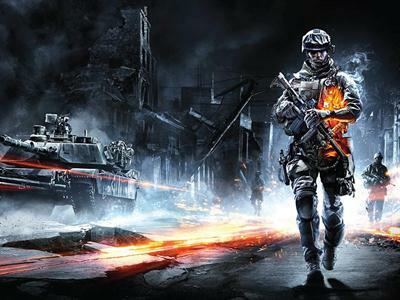 Battlefield 3 is the latest release in Battlefield series. Battlefield 3 is the latest first person shooter game which is released on all platforms which includes PC, Xbox 360 and Play station 3. The game is already released and out now in stores. The game has got Multiplayer mode. Player can also use vehicles in the game. The beautiful locations and stages make it special and different from other video games. The walk through of the game includes urban, industrial, and military locations. The game is using excellent graphics and technology. The developer of Battlefield 3 is EA Digital Illusions CE. The publisher of the game is Electronic Arts and sega. The release date of Battlefield 3 is on October 2011. The stages of the game take place through Paris, Tehran, Sarajevo, Sulaymaniyah, New York, Wake Island and Oman. The game has already got excellent ratings and reviews. More details about the ratings and system requirements of Battlefield 3 are given below. Graphic card: 512 MB Nvidia or AMD ATI card, ATI Radeon 3870 or higher, Nvidia GeForce 8800 GT or higher. Graphics card: 1 GB Nvidia or AMD ATI card, Nvidia GeForce GTX 560 or ATI Radeon 6950.